Photographer Val Corbet has excelled herself yet again. 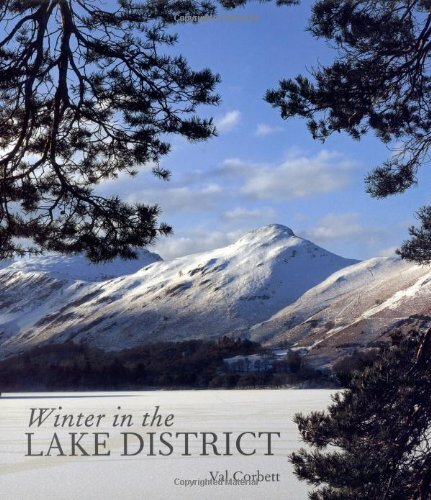 This beautifully illustrated volume showing the splendours of the Lake District in Winter will delight any lover of Lakeland. Crisp snow in deep valleys, high peaks bright in winter sun, sheep huddled under a stone wall, waterfalls frozen into long glistening fingers and then scones by the log fire. Winter is photographer Val Corbett's favourite time of year and this wonderful book show why. Here we have mountains sharply reflected in still water and sweeping panoramas framed by skeleton branches or taken from high above valleys deep in soft cloud. The book opens with the first frosts of autumn and closes with the birth of the early spring lambs and the emergence of Wordsworth's beloved daffodils. Val Corbett's stunning photographs capture the wide winter landscape as well as seasonal festivities close to home - Christmas, pancakes and the annual marmalade competition. This book is a visual feast and a fine celebration of winter in the Lake District.